For my first day off since Christmas I was itching to get out and do some ski touring. 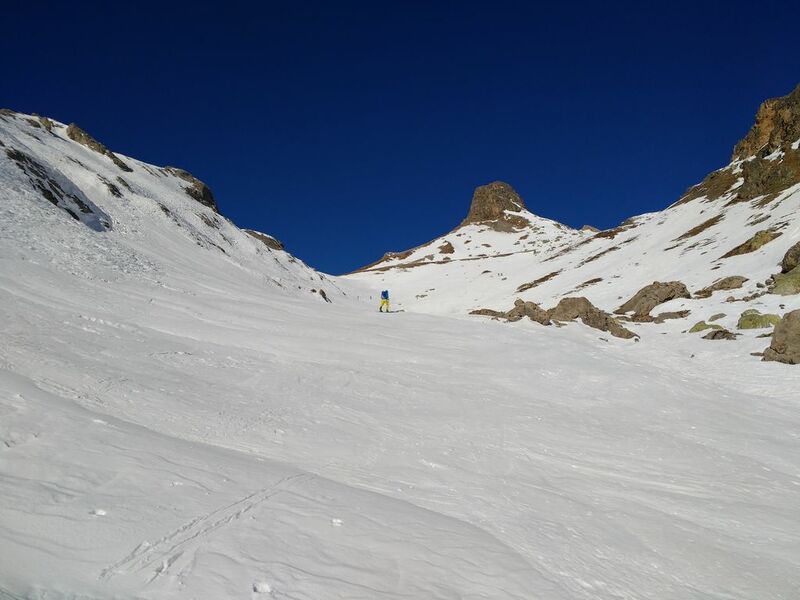 It still hadn’t snowed for a while, meaning that the snow was safe but not the most pleasant to ski on, and you needed to head above 2000m to get continuous coverage. The weather was beautiful though, with a clear blue sky and bright, cold, sunshine. I drove to the Col du Lauteret – the obvious starting point with a high snow line – with the Pic Blanc du Galibier in mind. 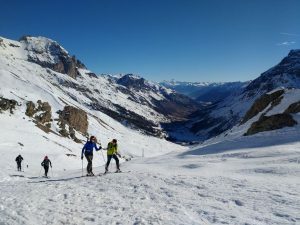 This is one of the classic tours from the Lauteret, often used by mountain guides running training courses or ski instructor exams. I parked just beyond the Col at the Refuge des Sestrieres layby, and put my skins on. I set off up the snow covered path. 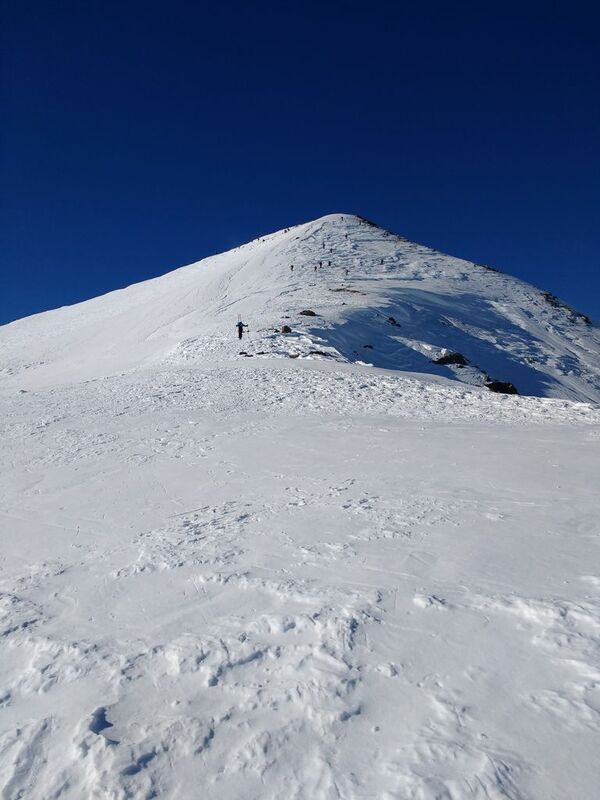 The snow was predictably hard, and within ten minutes I had stopped again to put my ski crampons on. The going was quite tough up to the crossing of the Col du Galibier road where I stopped for a quick snack. Above this, the gradient eases for a while and progress was easier, but the wind began to pick up as the altitude increased. 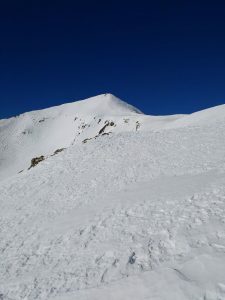 The route follows a shallow valley between two more or less defined ridges culminating at the short, steeper south east face of the peak. 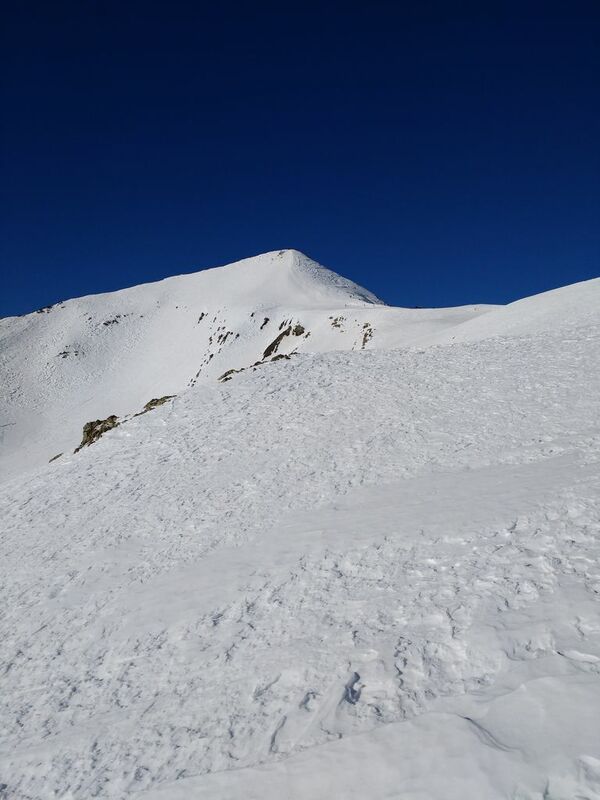 A steep, slightly exposed ridge on the right provides access to the summit, and I took my skis off for this section. Some people kept theirs on and skinned to the summit, but I decided I would be a lot quicker bootpacking. 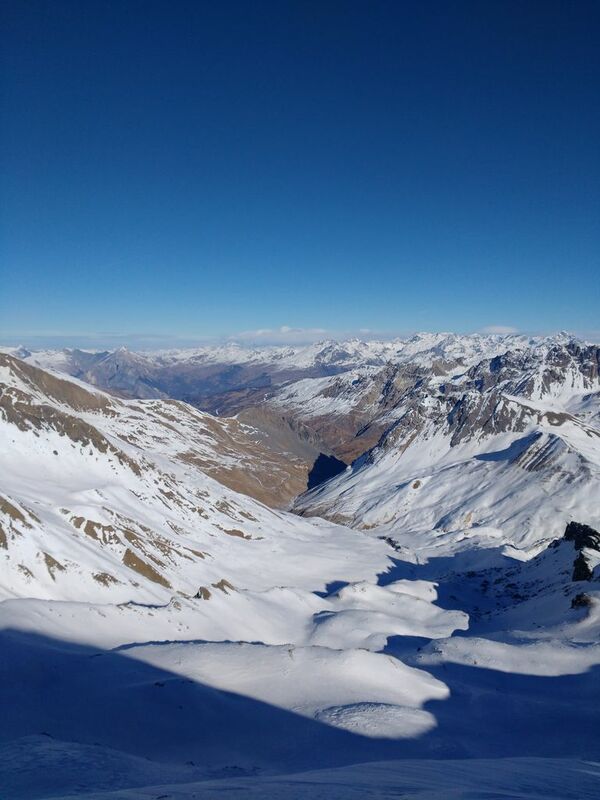 The summit provides great views towards Valloire on the other side, and towards Briancon looking back down the ascent route. It was surprisingly crowded as well, being a popular choice with the current snow conditions. I took off my skins and switched into downhill mode before attacking the south east face. I got another surprise here, finding the descent quite mogulled. It wasn’t unpleasant, but it definitely wasn’t what I was expecting. 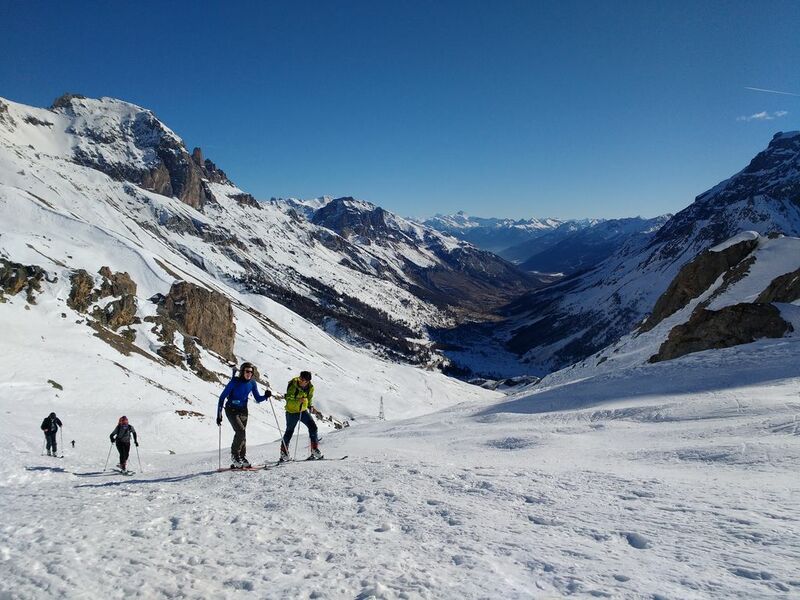 The descent towards the Serre Chevalier valley is wonderfully scenic and I really enjoyed it, even with the less-than-ideal snow conditions. 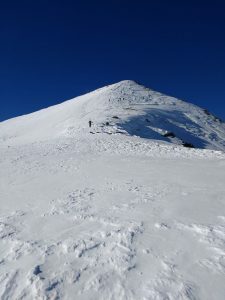 I reached the car quite contented, but I would love to return and repeat the route in spring on good transformed snow. The south easterly aspect means the snow should transform quickly, so an early start will be in order for that.